03.Losing My Mind / Triny Broussard (DHCS remix)...This Week Arrival!! 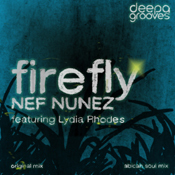 15.Firefly / Nef Nunez feat. Lydia Rhodes...COOL! !